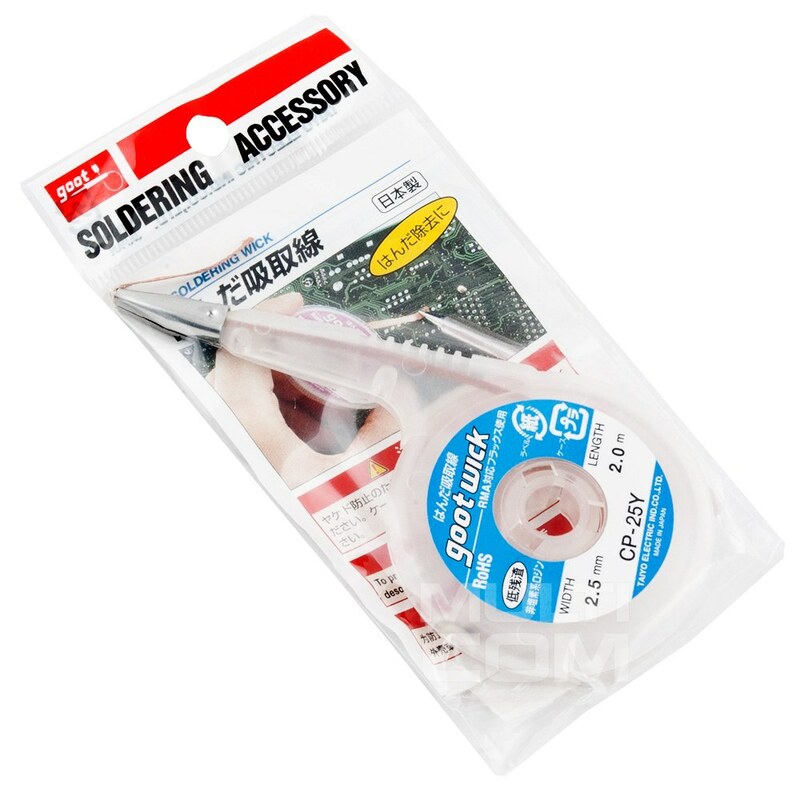 De-soldering braid GootWick BGA 1515 1,5mm - can absorb unwanted solder during heating process as an essential tool for soldering work. It is very useful tool for people who is doing repairing business. 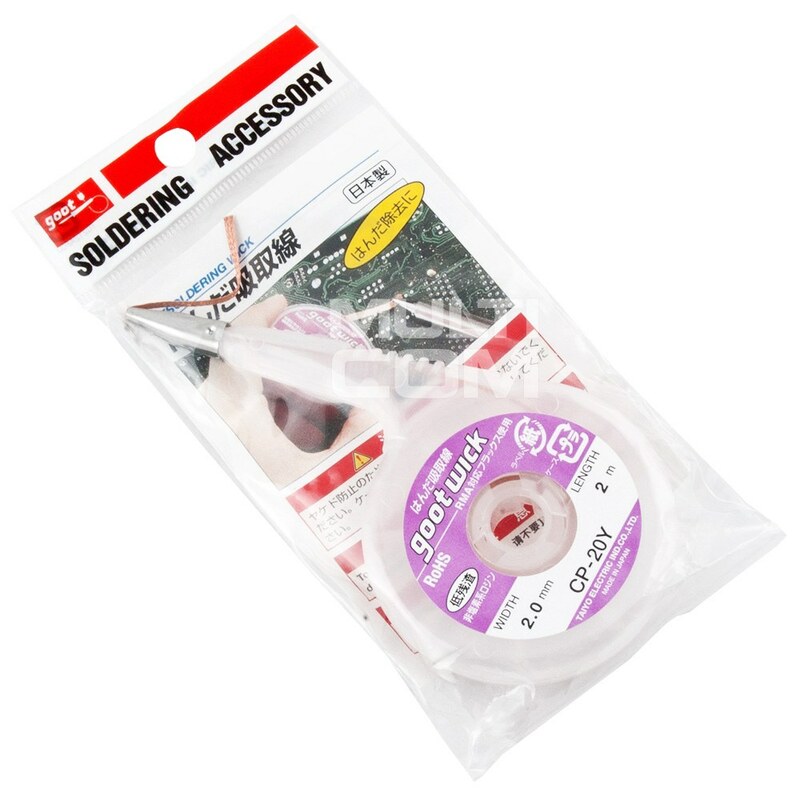 De-soldering braid GootWick BGA 2515 2,5mm - can absorb unwanted solder during heating process as an essential tool for soldering work. It is very useful tool for people who is doing repairing business. 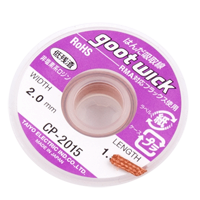 De-soldering braid GootWick BGA 2015 2mm - can absorb unwanted solder during heating process as an essential tool for soldering work. It is very useful tool for people who is doing repairing business. 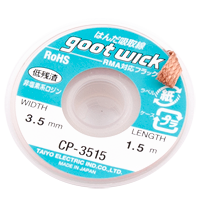 De-soldering braid GootWick BGA 3515 3,5mm - can absorb unwanted solder during heating process as an essential tool for soldering work. It is very useful tool for people who is doing repairing business. De-soldering braid GootWick BGA 3015 3mm - can absorb unwanted solder during heating process as an essential tool for soldering work. It is very useful tool for people who is doing repairing business. De-soldering braid Wan Feng 2,00mm can absorb unwanted solder during heating process as an essential tool for soldering work. It is very useful tool for people who is doing repairing business. 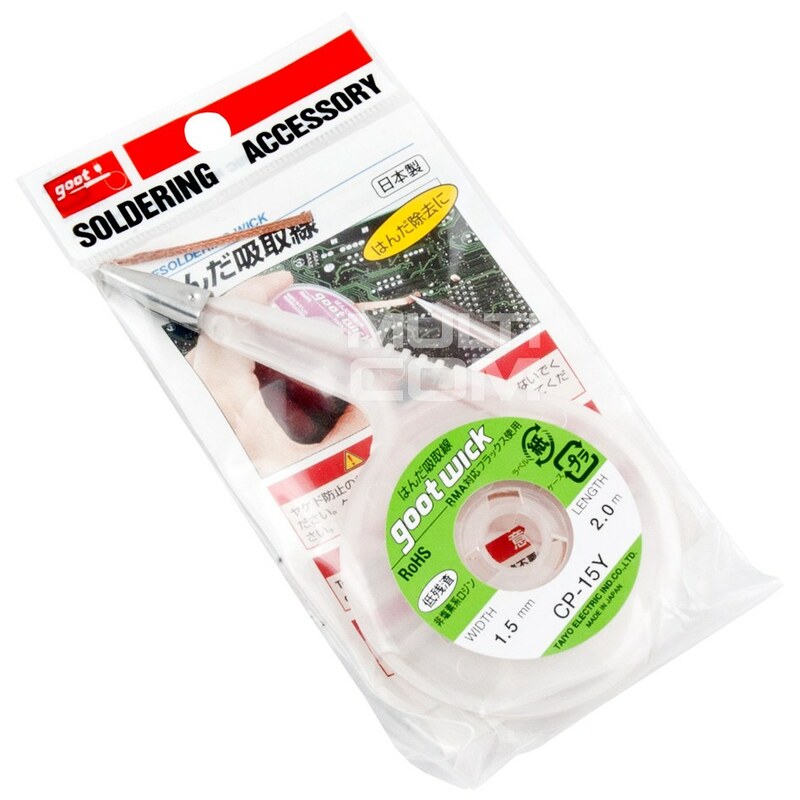 De-soldering braid/strip GootWick CP-15Y 2m/1,5mm is a braid to remove residual brazing agent from Japan. Properties: length 2 m, width 1,5 mm. The braid is suitable for work with both SMD and thread elements. Provides removal of solder, eliminating the danger of overheating of the desolder. 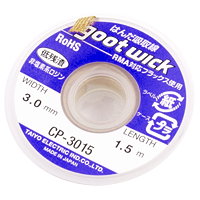 De-soldering braid/strip GootWick CP-15Y 2m/2mm is a braid to remove residual brazing agent from Japan. Properties: length 2 m, width 2 mm. The braid is suitable for work with both SMD and thread elements. 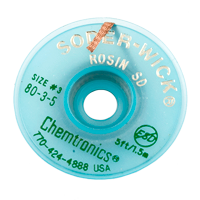 Provides removal of solder, eliminating the danger of overheating of the desolder. Desoldering braid/strip Gootwick CP-25Y 2m / 2.5mm a braid for removing residual brazing brazing from Japan. Properties: length 2 m, width 2.5 mm. The braid is suitable for work with both SMD and thread elements. 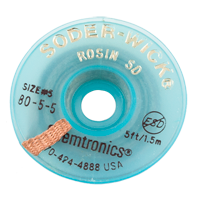 Provides removal of the solder eliminating the danger of overheating of the desolder. Desoldering Tape 80-2-5 Chemtronics Solder-Wick 1.5mm / 1.5mis desoldering braid made from copper tape composed of many individual braided strips of copper. It is used to remove excess tin or cleaning paths of solder residues. Braid removes solder with solder connections by adhesion. It is made as a tangle-free oil impurities and oxide copper wire of very small diameter. Desoldering Tape 80-3-5 Chemtronics Solder-Wick 2.0mm / 1.5mis desoldering braid made from copper tape composed of many individual braided strips of copper. It is used to remove excess tin or cleaning paths of solder residues. Braid removes solder with solder connections by adhesion. It is made as a tangle-free oil impurities and oxide copper wire of very small diameter. 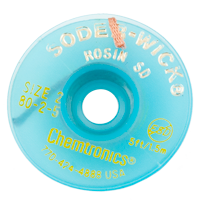 Desoldering Tape 80-5-5 Chemtronics Solder-Wick 3.7mm / 1.5mis desoldering braid made from copper tape composed of many individual braided strips of copper. It is used to remove excess tin or cleaning paths of solder residues. Braid removes solder with solder connections by adhesion. It is made as a tangle-free oil impurities and oxide copper wire of very small diameter.